Welcome to the first review for 2014! 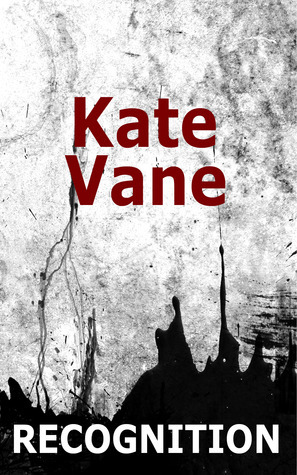 Recognition is a British mystery story, by author and former probation officer, Kate Vane. I was provided with a free digital copy by the author for an honest review. This in no way affected my opinion. STORY OVERVIEW: Nat Keene was a family liaison officer with the police department when she encountered her first murder. The victim was Sandie Thurston, a young mother. Her five year old daughter, Amy was discovered in bed with Sandie’s mutilated body, covered in her blood. Nat got very close to the family, in fact, a little too close. When a man was convicted of Sandie’s murder, Nat left, feeling broken and lost. Now it is 10 years later. Nat is now a trauma victim counselor. She now has a love partner, Dylan and life is different. Then she is asked to counsel Sandie’s Thurston’s husband, Martin and his now teenage daughter, Amy. She again becomes embroiled in their family secrets and begins to wonder if the man convicted of Sandie’s murder really did it. Dylan is involved in a case of his own that threatens to connect with hers. The story is interesting with a few twists and surprises, and although I would have liked to have seen more development in Dylan, the overall characterization was well done. The language and dialogue were believable, as were the setting and theme. I noticed no errors in grammar and punctuation. The main problem for me was the pacing. It would be intriguing and then the author stops the action with too much exposition. This is information that the reader may need to know, but it was done in such a way as to stop the action to let us know. This throws me out of the story as a reader. I would prefer to get that information in dialogue as the story progresses. This was a cozy mystery, so the pace is meant to be on the slow side, but not by clumps of information dumps. Another problem was with Dylan. The story made the inference that the two stories would be connected, but they never were, and the disconnect also distracted from the overall story. This entry was tagged British, counselling, debut, family liaison, mystery, review. Bookmark the permalink.